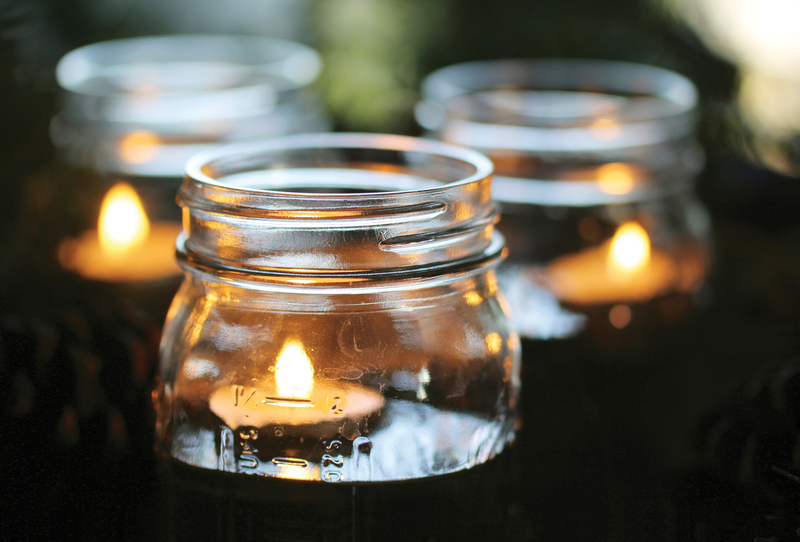 Let’s take a classic winter craft and add a twist, the end result is stunning! 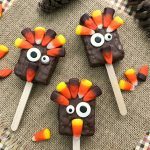 These DIY Frosty Pinecones make for elegant table décor and adorable tree ornaments, let’s get started! 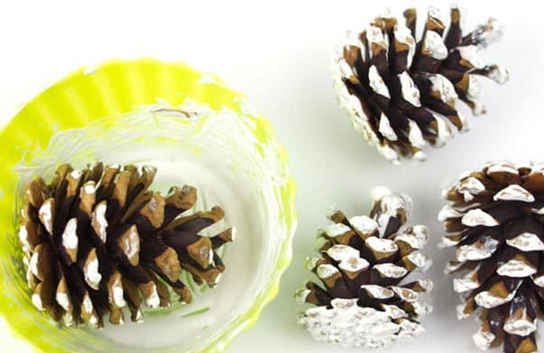 In a bowl large enough to fit one pinecone, mix together white acrylic paint and PVA glue. 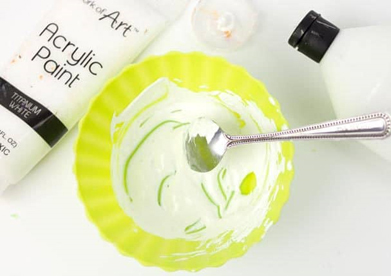 Next, roll you pinecones around in the paint and glue mixture. Feel free to use your hands to make sure the pinecone is evenly covered from top to bottom! Make sure to leave the inner parts of the pinecone paint free. 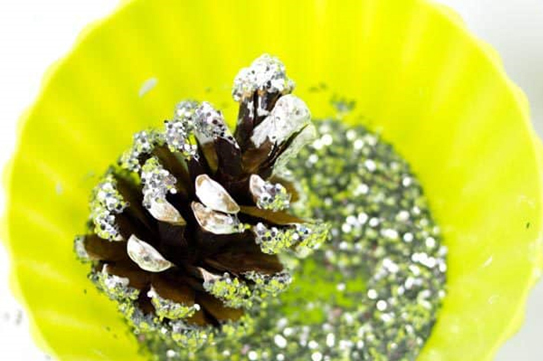 In another bowl big enough to fit each pinecone, pour a layer of glitter. 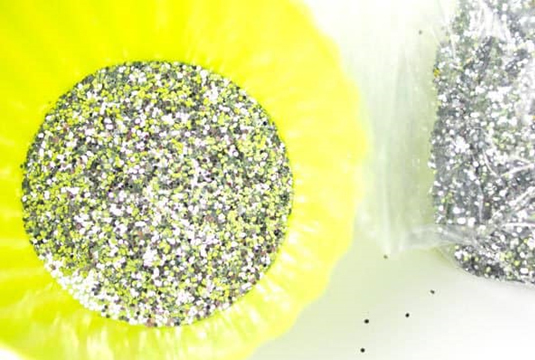 While the pinecones are still wet, roll each one lightly into the glitter. 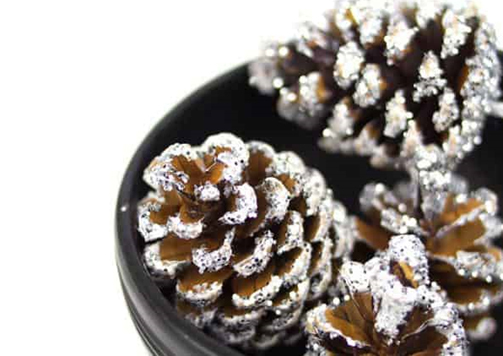 The paint will give your pinecones a snow tipped look and the addition of glitter gives a wonderfully snowy, icy effect on the pinecone edges. Let your pinecones dry for a few hours on either side. 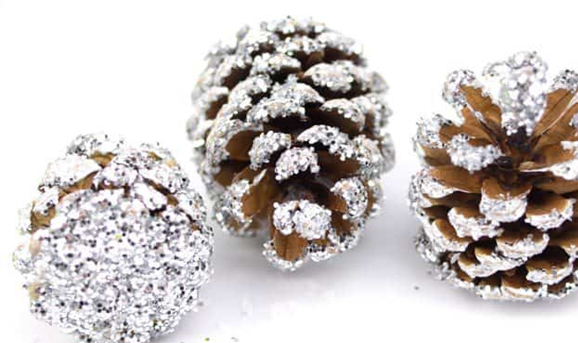 Once dried you can tap the frosty pinecones onto a sheet of paper to catch any loose glitter. 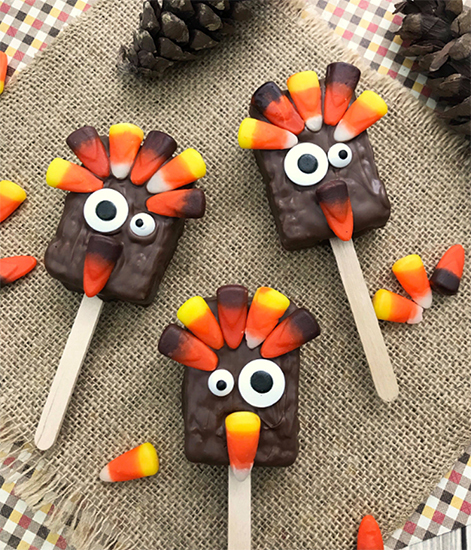 These cute frosty pinecones can be displayed in a bowl or on a tray! However, they also make the most adorable ornaments, read on to learn how to assemble the string! 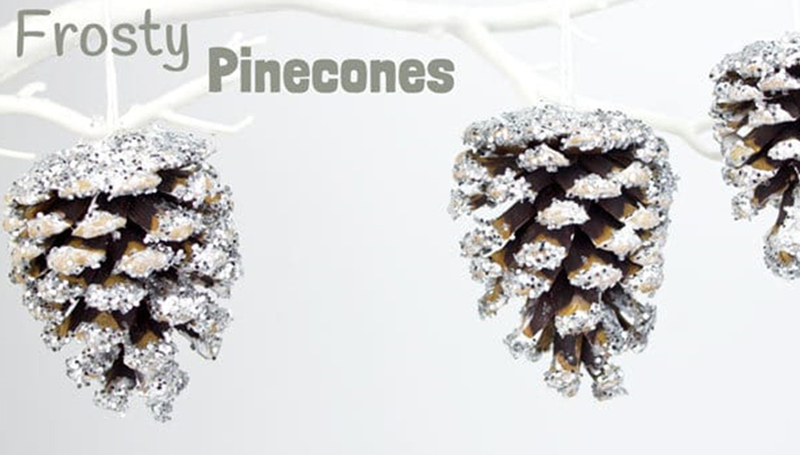 All that’s left to do to turn these frosty pinecones to ornaments is to simply add some string! Tie a loop of thread on the top of the pinecone and secure it with glue. Feel free to use the PVA Glue or a hot glue gun. 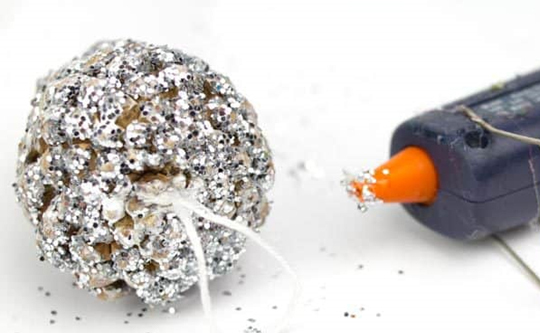 Give the glue a little time to dry, and you are ready to put your gorgeous sparkly pinecones on display!